I always like to add in one song that our primary will sing using simplified ASL for our program. I thought I Feel My Savior's Love would be a great one for this year! This video was shared on the FB group (find the direct link HERE if you need). It's PERFECT! Simplified ASL for the kids - they'll easily catch on. I'm trying to get some better videos with the 2nd - 4th verses. I'm going to only be teaching the first verse as I think we will be short on time in the program. No visuals needed. I would suggest posting the words like I do HERE in the beginning and then gradually removing them. I have a few little tips and tricks when it comes to teaching sign language in primary posted HERE. I'd strongly encourage you to check it out! To review this song later on in April, I'll be adding scarves as we sign this song. It always adds a fun dynamic! I've got details on my scarves also at the link above. 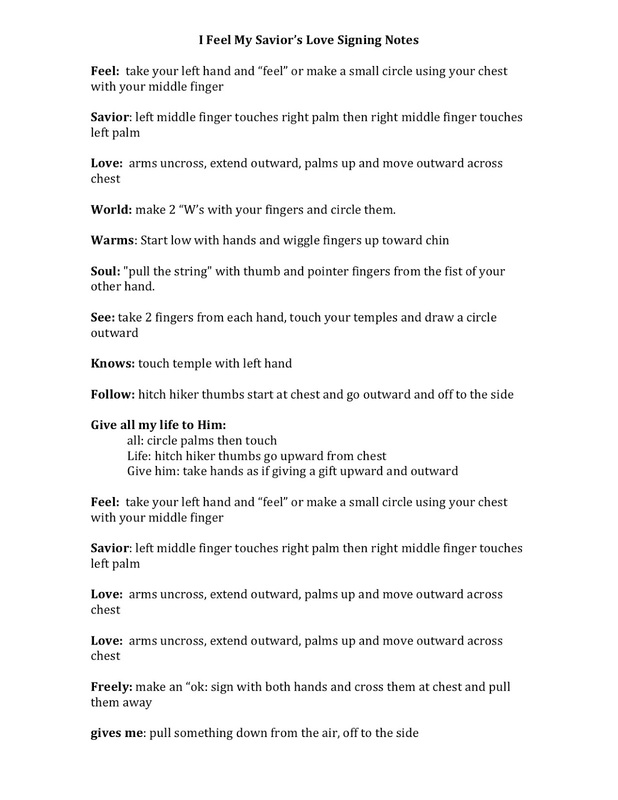 I've typed up some ASL notes that coincide with the video. You can download them HERE to take with you. Hopefully they make some sort of sense ;). We'll be learning more verses in a few weeks. If you want to kill 2 birds with one stone, this is also a perfect song selection to sing for Easter in sacrament meeting! Love this! 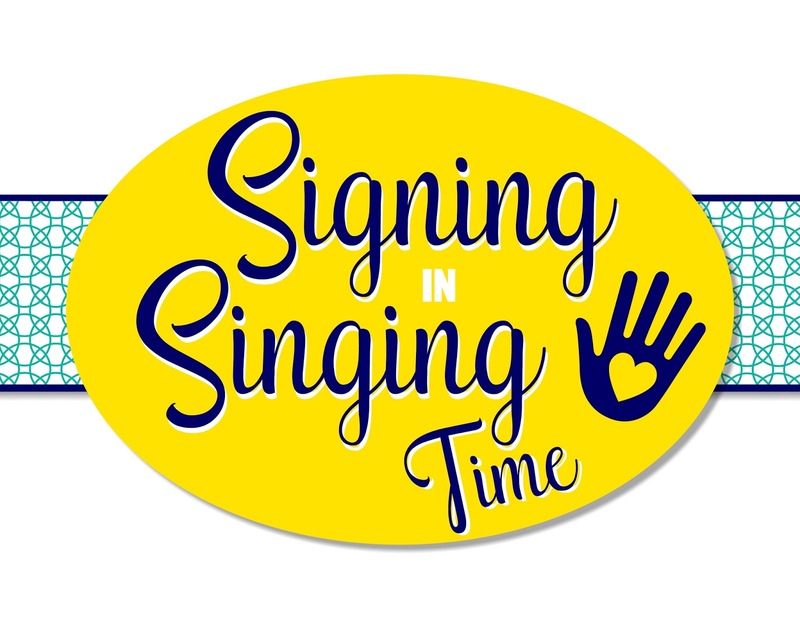 I am so excited because I really want to teach my kids an ASL song this year. I was wondering if you will teach them the ASL signs for the other verses or if you just teach them the first verse. Thank you for all of your wonderful ideas! I will definately be using this. Thank you! Do you have the signs for the other two verses? I would like to teach those too. I'm trying to get videos for the other verses - fingers crossed! Not sure if that link will work but it's super easy to find on the church website. Thank you for commenting! The videos on lds.org are a really wonderful resource but I've found them hard to learn (because I don't know sign language), let alone teach. Have you had success using them?